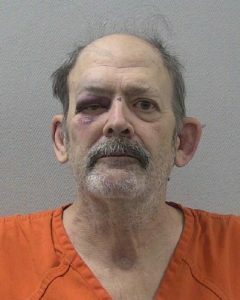 Editor's note: 61-year-old James William Level of Lexington was charged the morning of April 14 in connection to this incident. Level was booked into the Lexington County Detention Center after being charged with pointing a firearm at a person and second degree assault and battery. Lexington County deputies were involved in a shooting incident Saturday night with a man who barricaded himself inside a home with a shotgun after a civil dispute. No one was struck during the gunfire inside a home in the 100 block of Mooring Lane. Deputies were trying to detain the man after witnesses told them he had assaulted a woman inside the house. The man was transported by EMS for medical treatment. Charges related to the civil dispute are forthcoming against the man.